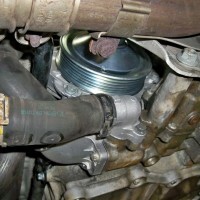 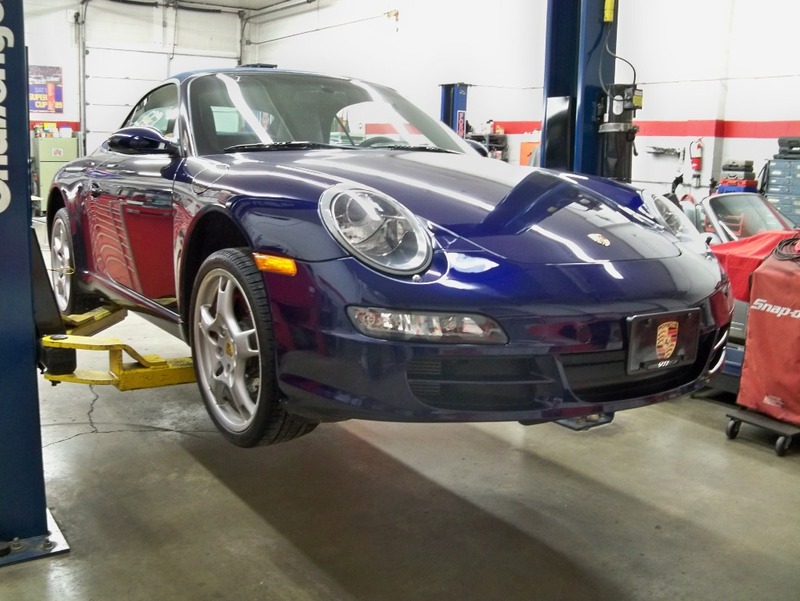 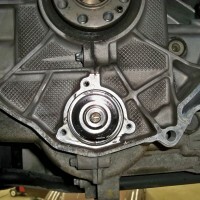 2006 997 M97 Engine IMS Bearing Seal Removal » Specialty Cars Service Center, Inc. 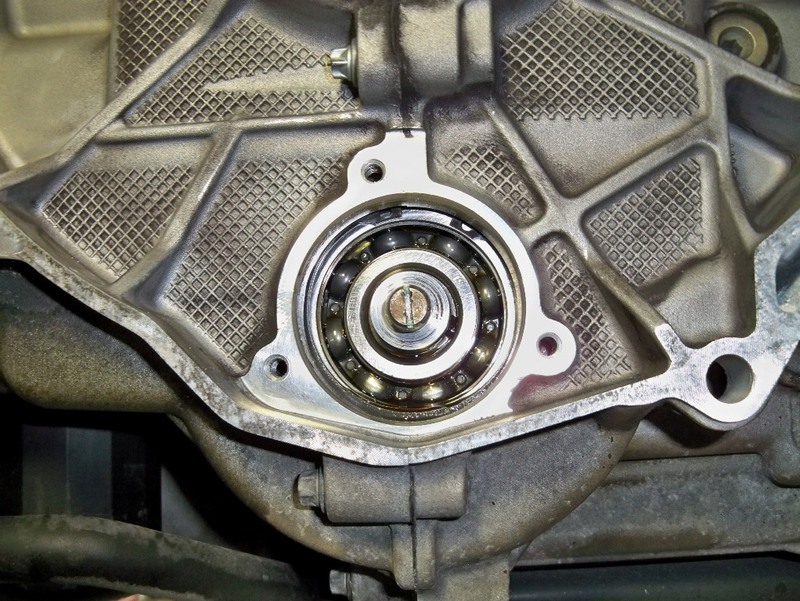 While the M96 engines do have two preventative measures available on the market (the LN Engineering Retrofit Kit and the IMS Solution), the M97 engine IMS bearings are non-serviceable without engine removal and disassembly. 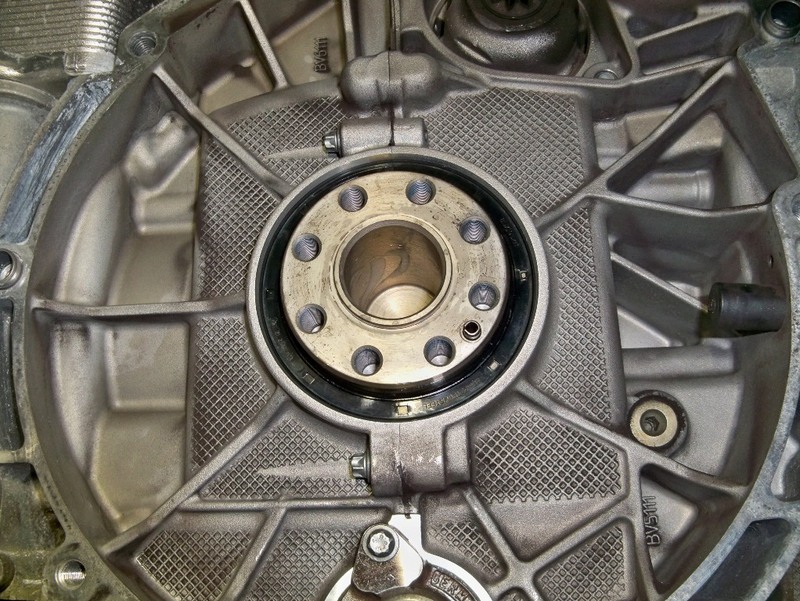 However, the seal on the IMS bearing in the M97 engines can be removed, allowing oil to gain access to the bearing to increase lubrication. 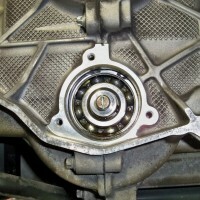 The increased lubrication in the bearing reduces friction and heat, and therefore extends the longevity of the bearing. 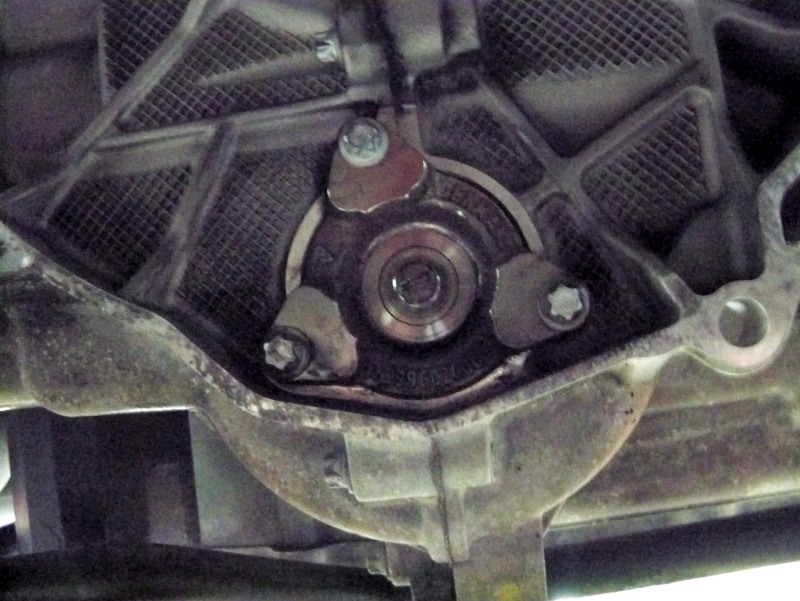 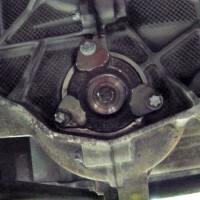 While this is not a permanent solution, it can help to prevent failure of the IMS bearing. 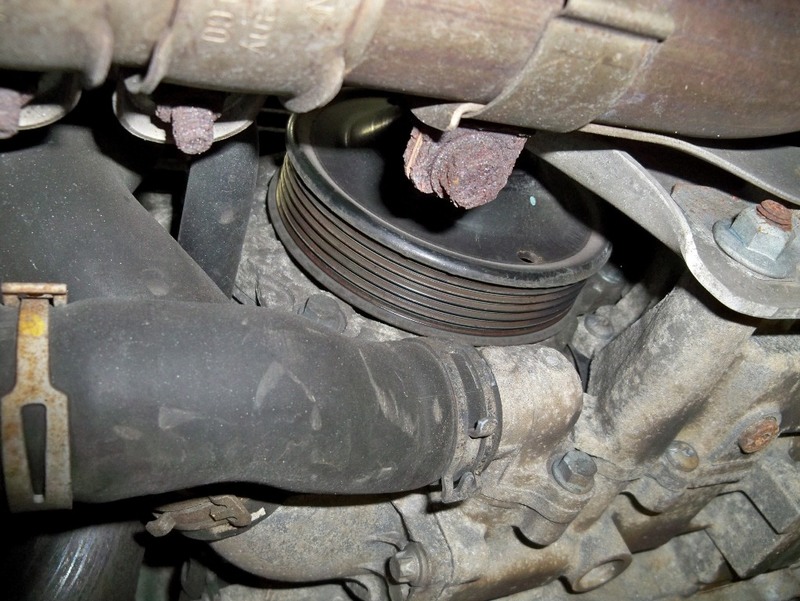 In addition to removing the seal, we recommend also utilizing high quality engine oil, changing the oil every 3,000 miles, and installing a high quality spin-on oil filter. 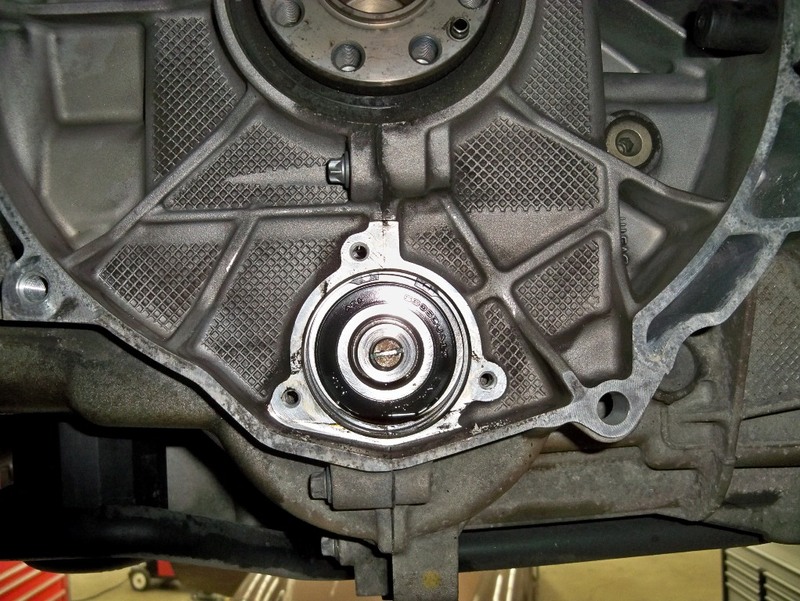 For more information, please check out our Technical Service Bulletin regarding IMS bearing failure and prevention. 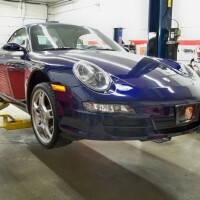 Also, be sure to check out our video below to see a seal removal in progress. 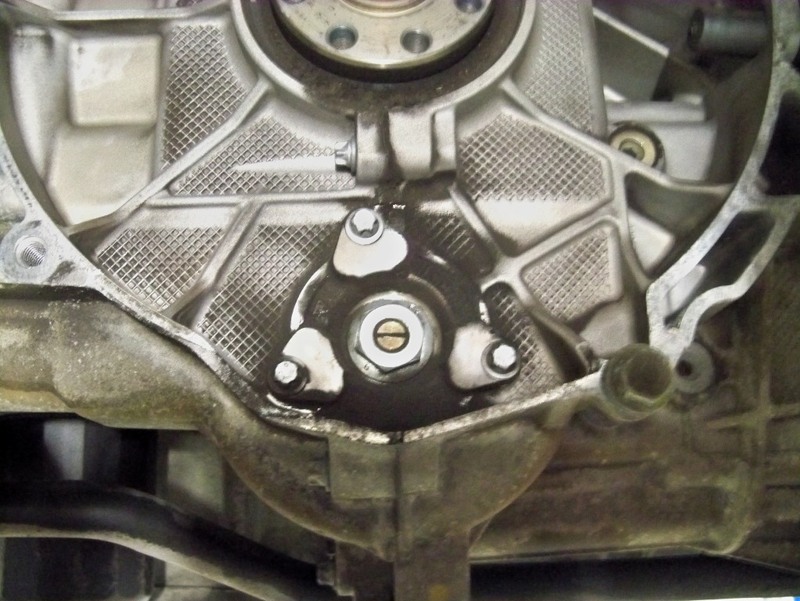 After careful inspection for metal flake and debris in the oil (that could lead to the IMS bearing already beginning to come apart), the process can begin. 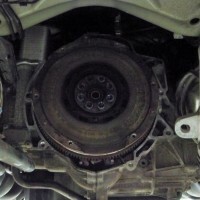 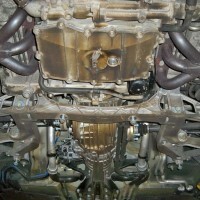 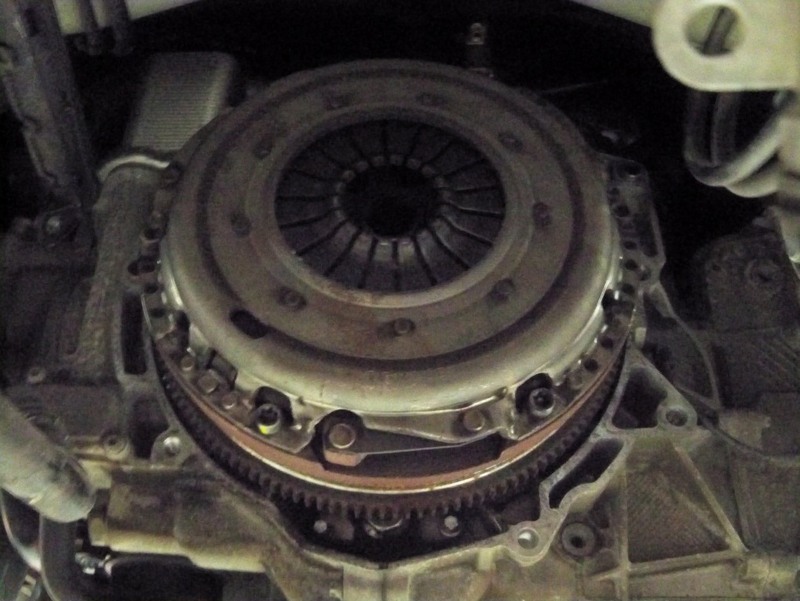 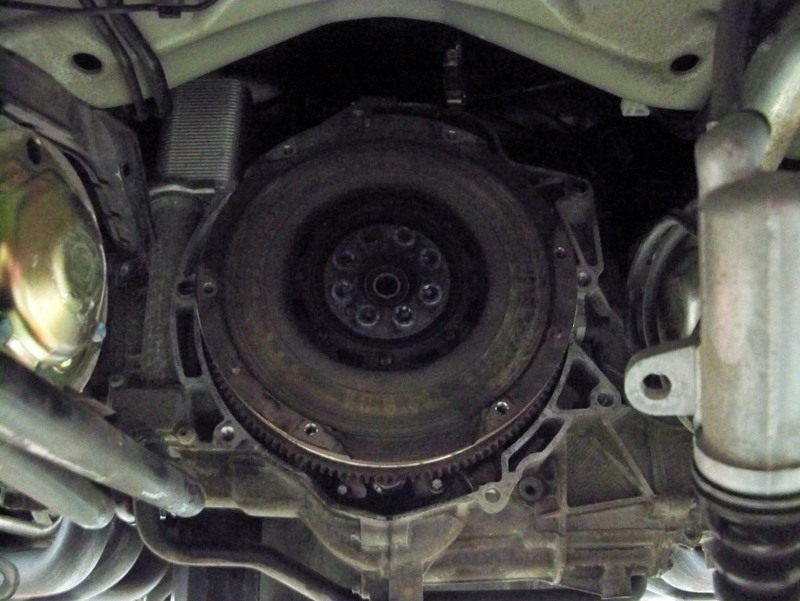 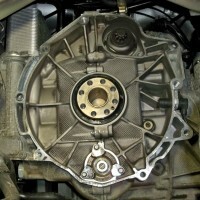 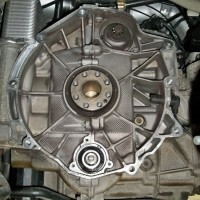 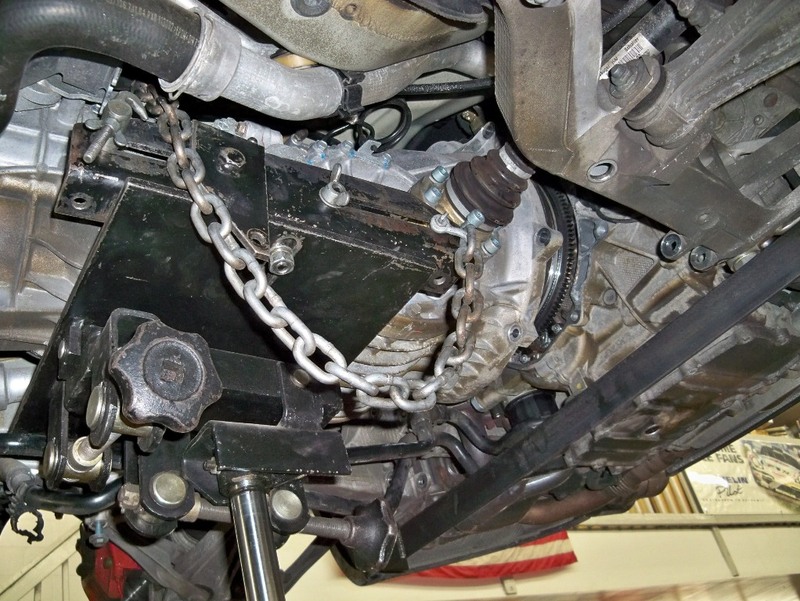 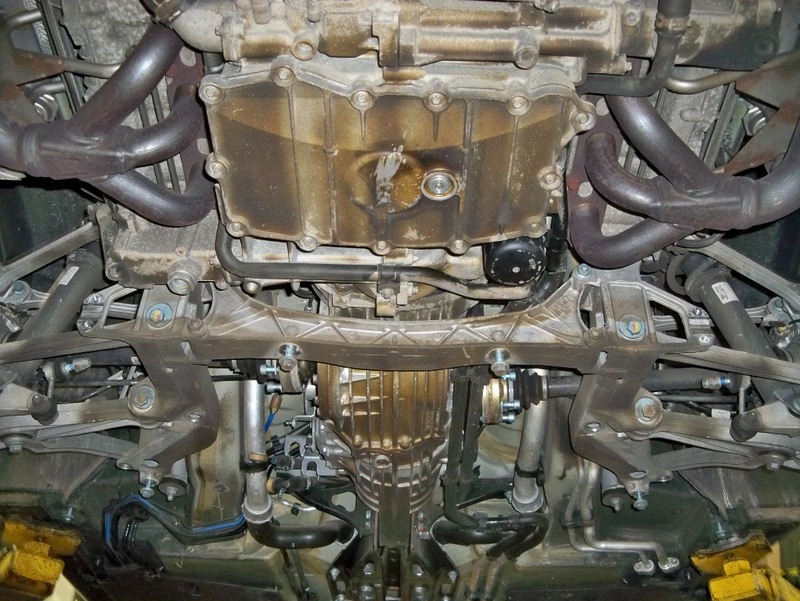 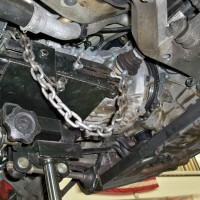 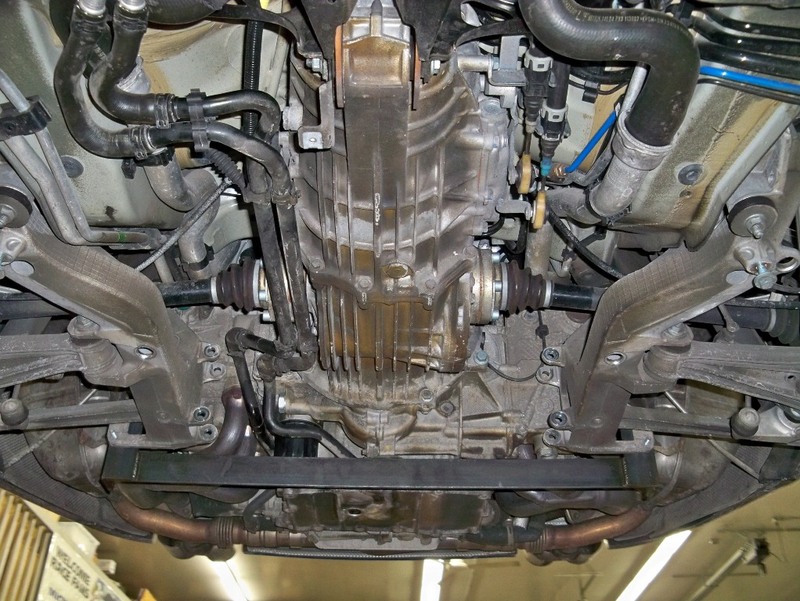 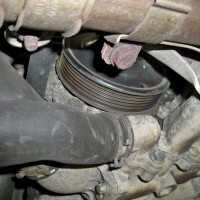 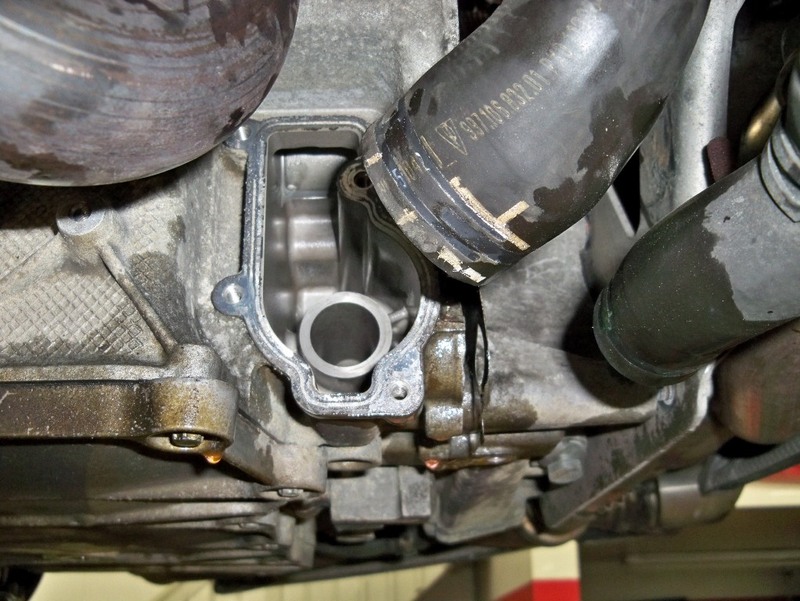 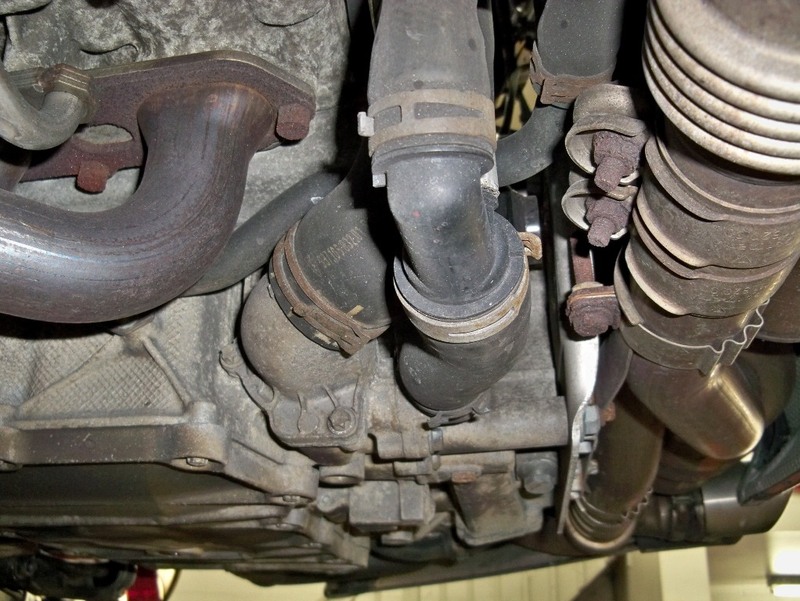 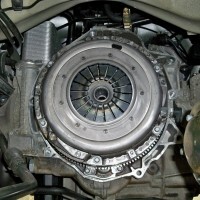 To begin the procedure, the transmission must be removed, the engine must be at TDC (Top Dead Center cylinder 1) and camshafts must be locked in place. 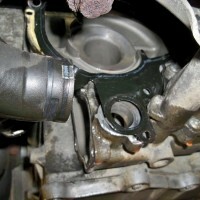 Then, the tensioners can be removed. 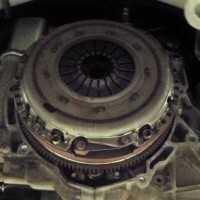 Removal of dual mass flywheel. 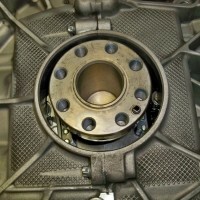 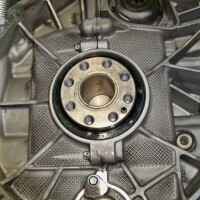 A look at the 997 M97 IMS bearing, which cannot be updated without engine disassembly. 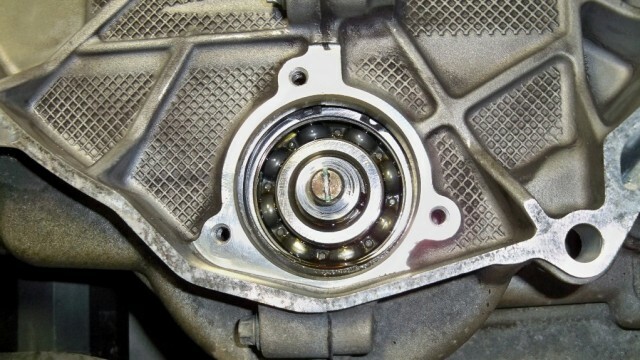 The IMS bearing with the seal removed. 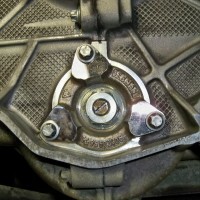 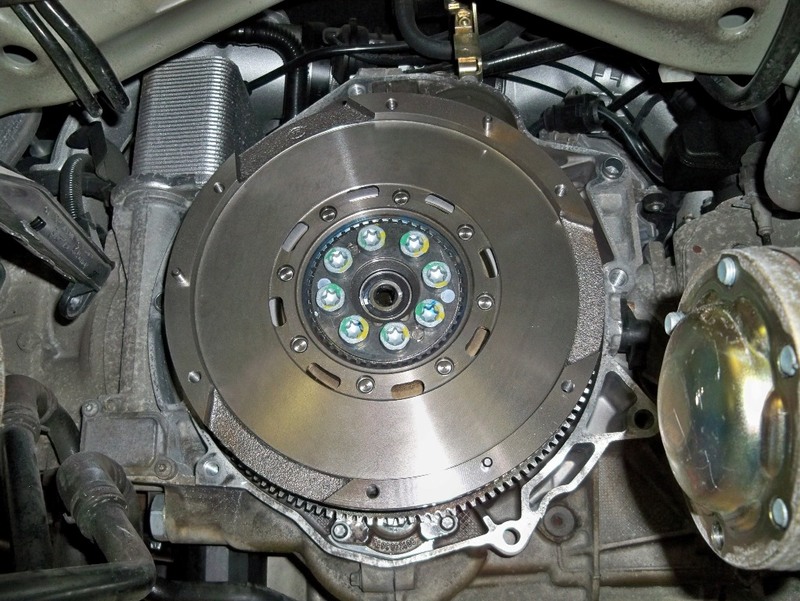 The IMS bearing flange reinstalled with its new 3-ribbed seal. 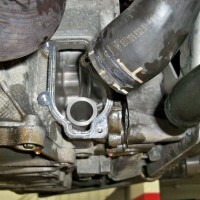 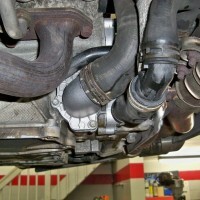 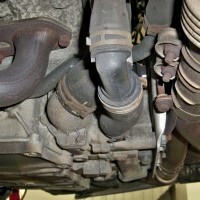 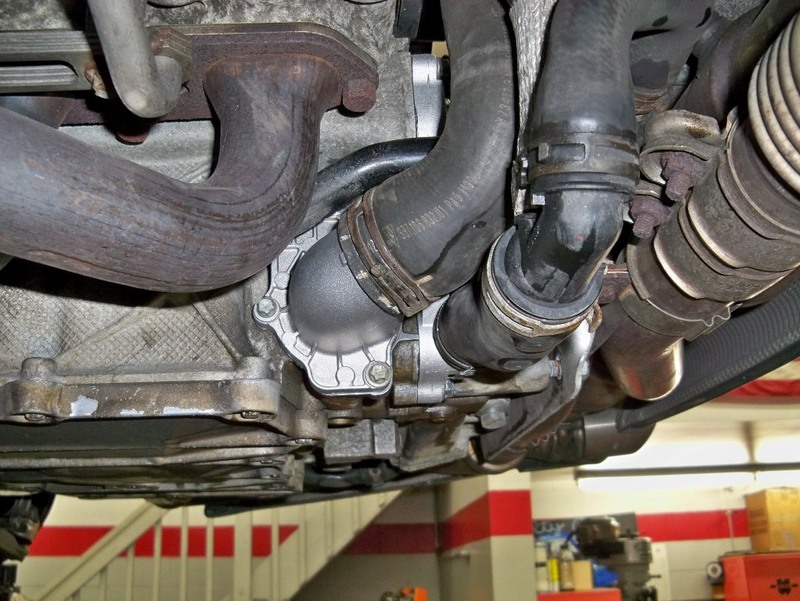 Rear main seal installed using factory Porsche tool. 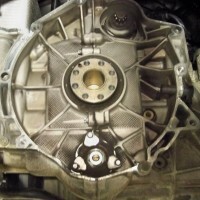 Ready to go back together. 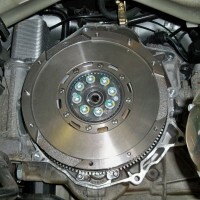 New pressure plate and clutch disc installed. 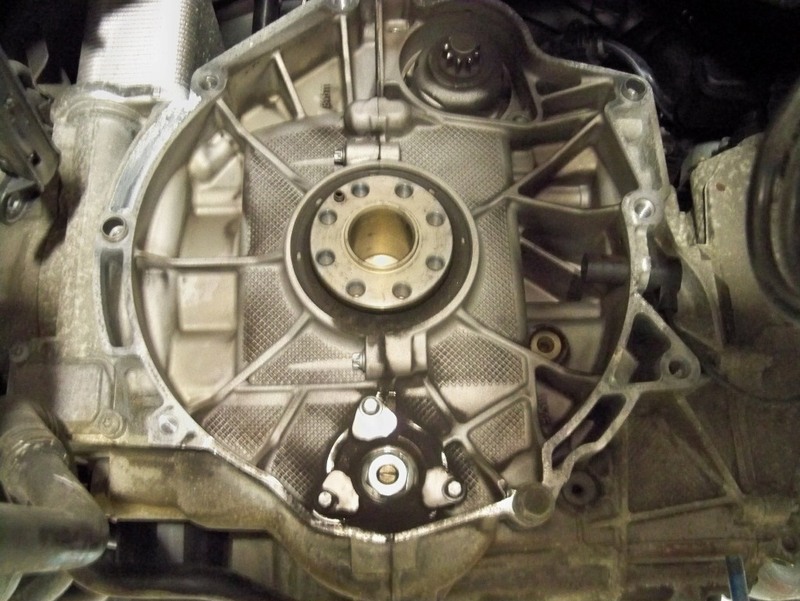 This car came in with its original water pump. 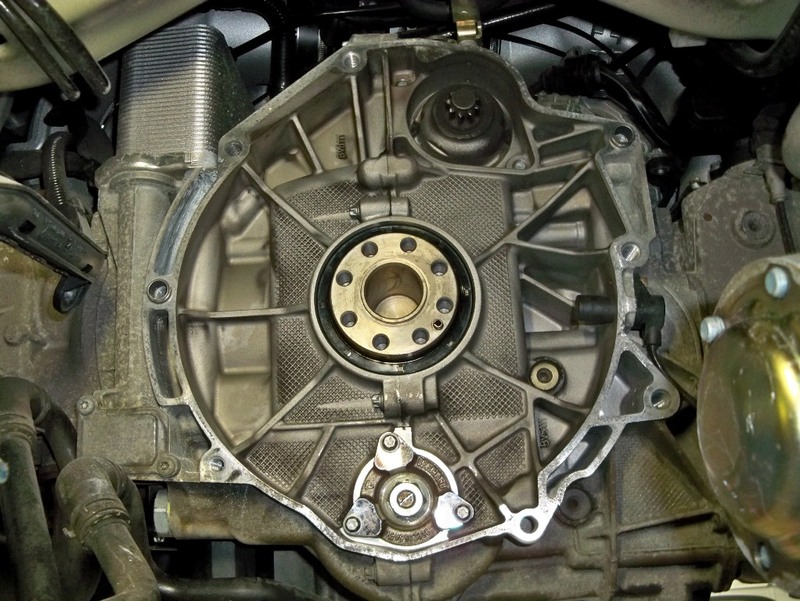 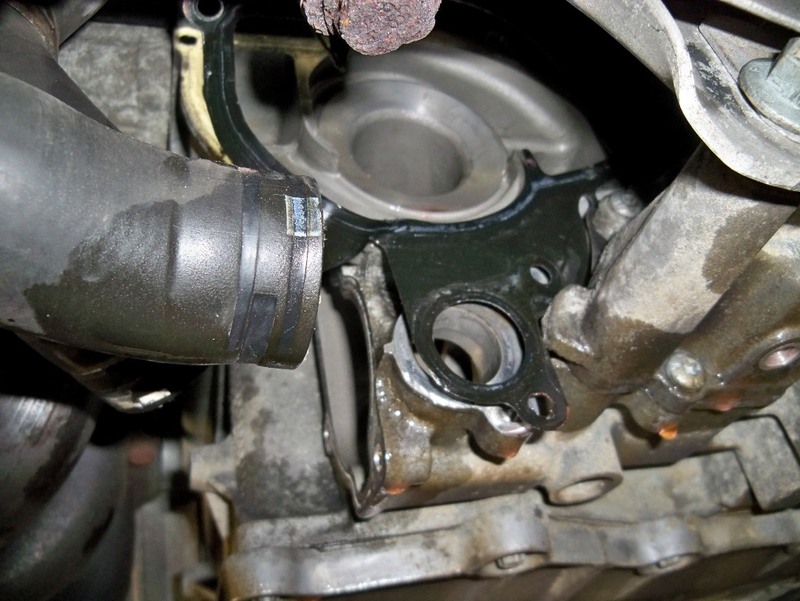 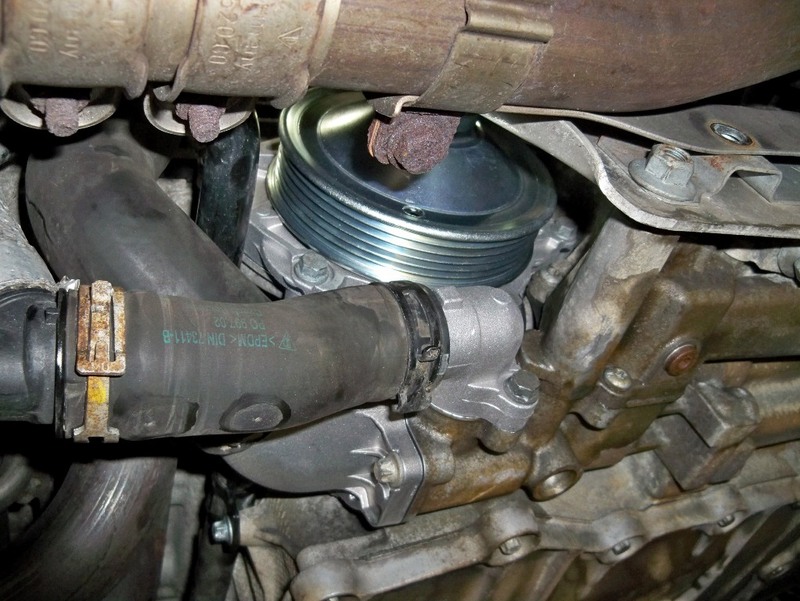 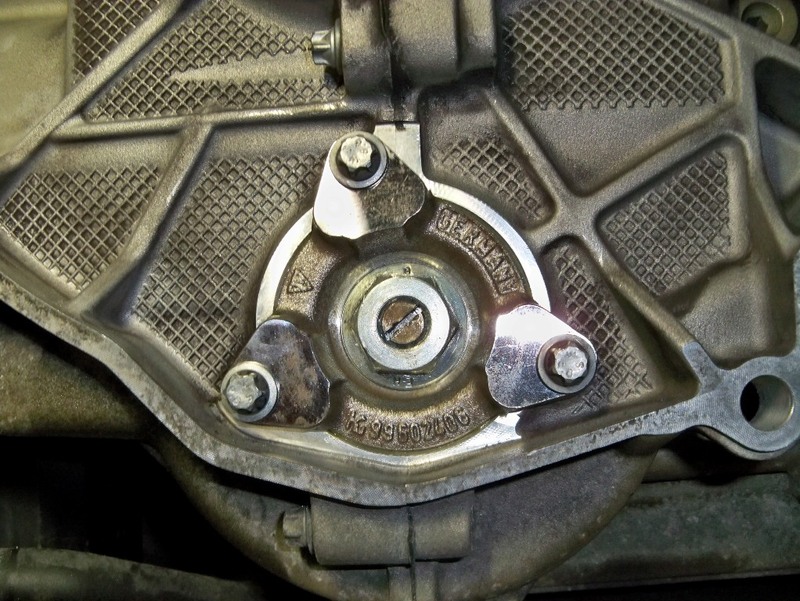 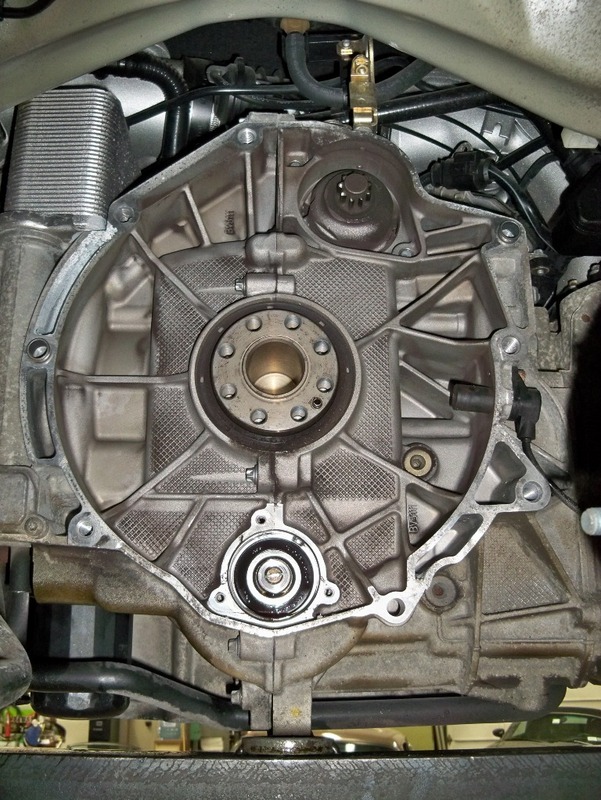 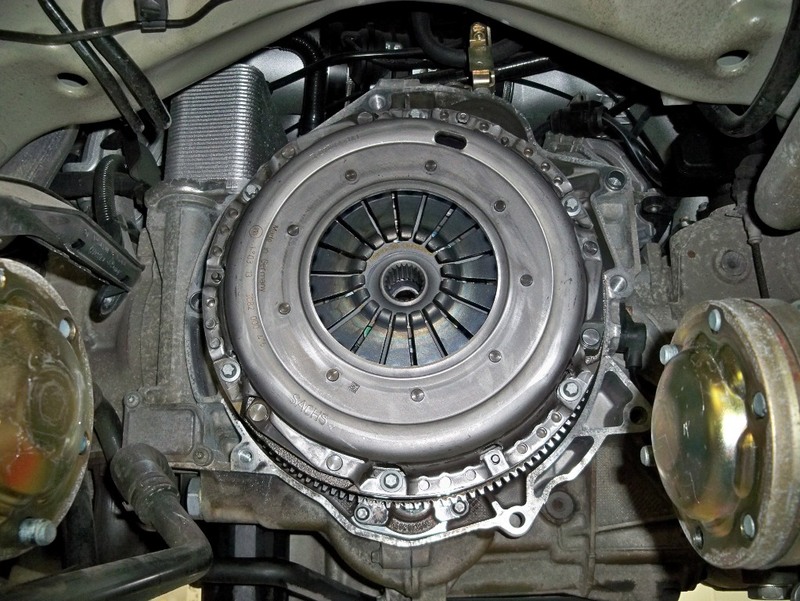 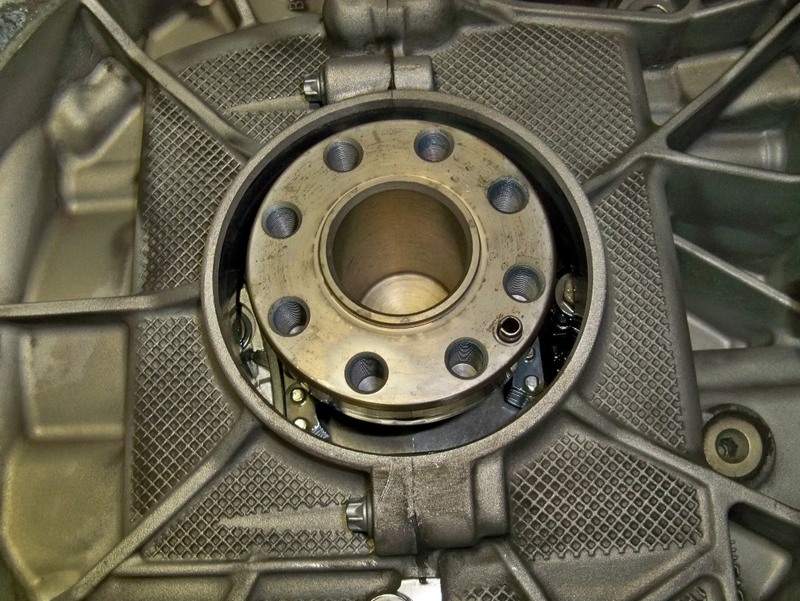 We recommend replacing the water pump every 3-4 years due to plastic impeller blades prone to breaking. 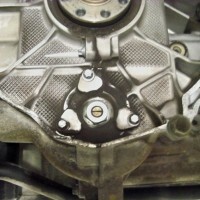 Water pumps can experience blade and bearing failures.